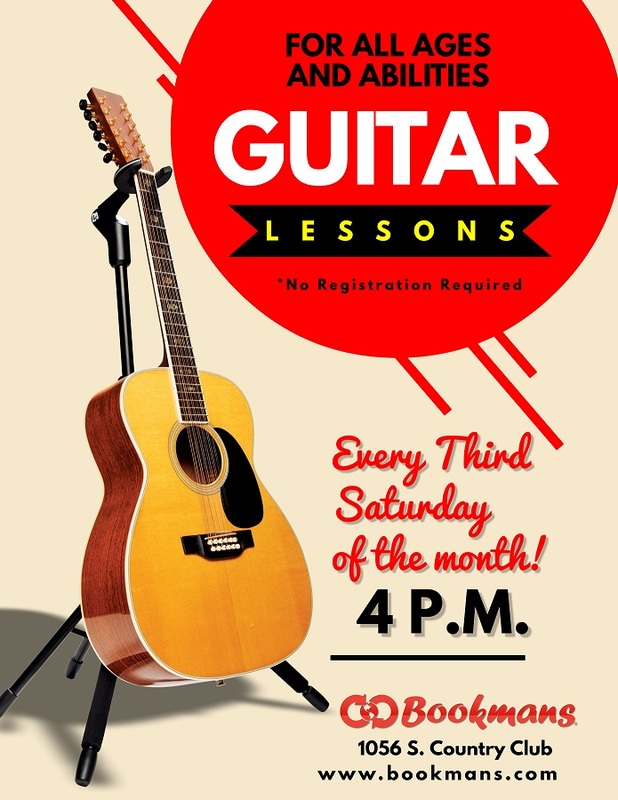 Home > Events > Live From Bookmans: Learn Guitar Workshop! Have you ever wanted to try something new but have been hesitant for any reason? Those reasons could be financial, the nervousness of the unknown trying something new. Maybe it’s just about breaking out of an everyday routine. Well, now is the time to take that first step forward. This is an introductory class where we will learn simple chords. 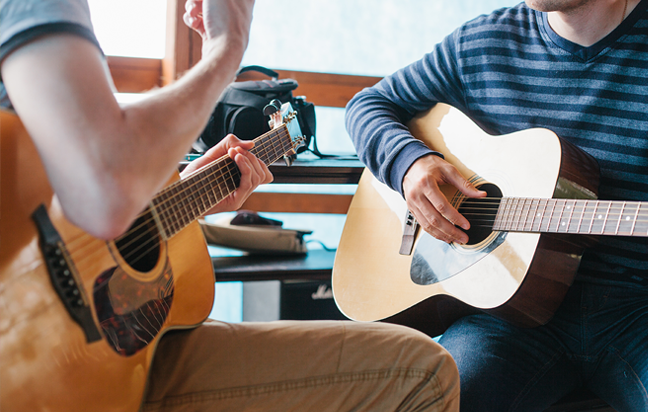 The guitar’s roots go way back to 15th-century and Malaga in Spain. Its engineering was pioneered by a man who gave just four strings, or ”courses,” to his guitar. Thereafter, the instrument went through the Baroque and Classical periods before evolving into the six-stringed, modern-day guitar. “I’ve been a writer and musician for over a decade, and have been teaching music lessons for 10 years. I began journaling at 15, mostly free-writing and poetry. This was my segway into guitar and songwriting. Over the years, piece by piece, I’ve gathered many angles to my myriad profession. The event is FREE and open to the public and all ages. However, there is limited seating, so arrive early to guarantee your seat! Bring your own guitar or pick one up here at Bookmans’ Musical Instrument Department for a low price and join in!